The Narcotics/Vice Bureau reports the arrest of a Freeport man for Criminal Possession of a Controlled Substance which occurred on Monday, February 17, 2014 at 9:06 p.m. in Baldwin. Correction - February 18th, 2014 at 10:20 AM: Defendant Peralta is charged with two counts of Criminal Possession of a Controlled Substance 3rd Degree and three counts of Criminal Sale of a Controlled Substance 3rd Degree. Baldwin, NY - February 18th, 2014 - The Narcotics/Vice Bureau reports the arrest of a Freeport man for Criminal Possession of a Controlled Substance which occurred on Monday, February 17, 2014 at 9:06 p.m. in Baldwin. According to detectives, a joint investigation was conducted by the Nassau County Narcotics/Vice Bureau and the Bureau of Special Operations CIRRT unit, which resulted in the arrest of Julio N. Peralta, 51 years of age, of 35 Bedell Street. During the course of the investigation Peralta was observed conducting narcotics sales from his 1998 BMW to three individuals in Freeport and Baldwin. The defendant Mohan Ramdahin, 46, of 7 Russell Place Freeport, Pedro J. Quiroz, 56 of 16 Lincoln Place, Freeport and Katiusca C. Polanco, 28 of 773 Merrick Road, Baldwin were all placed under arrest without incident. As a result of Peralta’s arrest detectives recovered approximately 1 one ounce of Cocaine and an undetermined of U.S. Currency from the vehicle. Peralta is charged with (5) five counts of Criminal Possession of a Controlled Substance 3rd degree. Ramdahin and Quiroz are each charged with (1) one count of Criminal Possession of a Controlled Substance 5th degree. All three defendants will be arraigned on Tuesday, February 18, 2014 at First District Court in Hempstead. Polanco is charged with (1) one count of Criminal Possession of a Controlled Substance 7th degree. She received a desk appearance ticket and will be arraigned on Monday, March 10 2014 at First District Court in Hempstead. 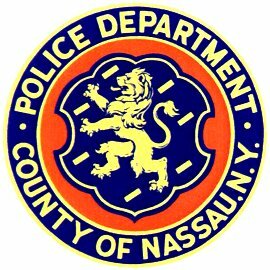 Subject: LongIsland.com - Your Name sent you Article details of "NCPD Nabs 4 for Cocaine Possession in Freeport"